We were sitting in Aaron's kitchen drinking a Tablas Creek Syrah and listening to Big Star last night. It was warm out and things seemed ideal. just a few images from our day in dry creek looking for grenache and syrah grapes for 2010. alan baker of cartograph wines joined us at Polesky-Lentz, grist, unti, floodgate, arista and woodenhead. What's the Neu Wine for 2010? the short answers are: "we don't know" and "not mourvedre". we are searching for the newest flavor in our limited arsenal of wines. our goal (nay, concept) is to add a new varietal each year and possibly increase production of the ones that we like the most. believe us when we say nothing we do is sales driven. mourvedre is obscure, mourvedre is heavy, mourvedre is cheap and mourvedre is available. 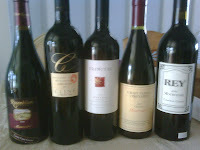 after a tasting of 5 in the $15 to $20 range we can conclude mourvedre is not making the 2010 line up. back to AAA. grenache is up next. we are building a collection of wines to sample. the most intriguing wine are from Paso, SLO and Santa Barbara. Too far away? 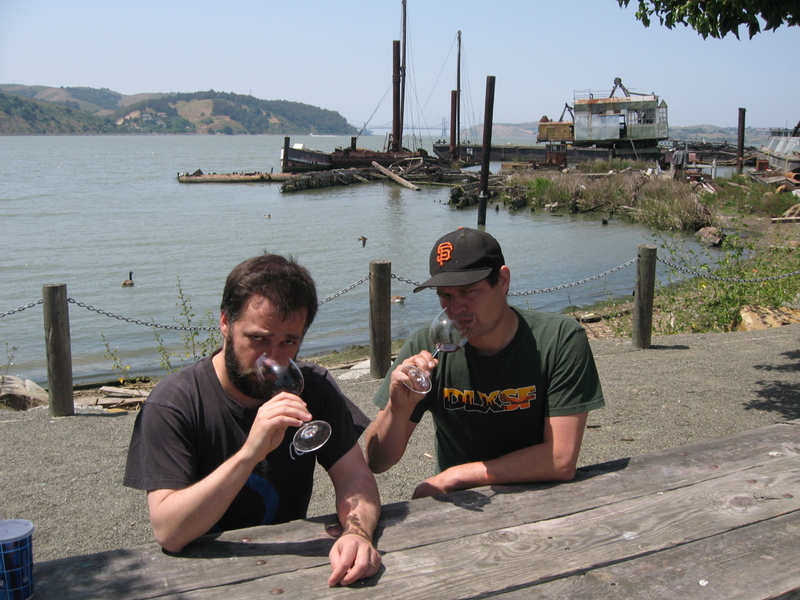 Hell no; we are the guys who drive to Humboldt for pinot. 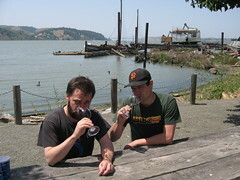 We are seaching out Sonoma and Mendo producers in an attempt to reduce our Sasquatchian carbon footprint.